Throughout human history, nearly every culture and civilization has described the mental and physical benefits of meditation. The popularity of this ancient practice extends beyond yoga studios and places of worship. Research shows meditation offers many health benefits, including reduced blood pressure, better posture, improved cardiovascular health, reduced feelings of stress and anxiety, and enhanced mindfulness. The benefits of meditation are so profound that you'll find its philosophies integrated nearly everywhere. 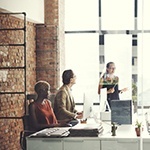 Business, sports, and even technology include and promote the practice of meditation. The trend toward greater acceptance has made meditation ubiquitous in many settings and brought the practice as a whole to the forefront. The first records of meditation date back over three-thousand years and originate from the Hindu practices of Vedantism in India. Centuries later, other types of meditation formed, including Taoist practices in China and Buddhist practices in India. From these beginnings, meditation continued to evolve. Today, meditation is a blanket term for an ever-growing group of disciplines. In fact, there may be as many as 30,000 types of meditation. While that number seems overwhelming, most methods of meditation share four key components: finding a quiet setting or space, holding your body in a specific posture, focusing your thoughts, and achieving a state of positivity, openness, and enlightenment. Whether you have just begun your journey or have a fully furnished meditation room, there are many different styles you can practice. Below are some of the most popular meditation techniques. Popularized in the 1950s and 1960s by Maharishi Mahesh Yogi, Transcendental Meditation explores the power of sounds and vibrations to engage and enlighten. Also known as Mantra Meditation, this technique focuses on the repetition of a particular sound or affirmation throughout the meditation session. Traditionally, these repeated words were considered sacred in nature and were only bestowed by a seasoned teacher. Today, mantra instructors and guides are commonplace and help guide personal or group sessions. For beginners, the repetition of words and sounds helps to focus the mind. Concentration, also known as Focused Attention Meditation, requires prolonged silent focus — think Buddhist monk sitting on top of a mountain. This technique calls for an absolute focus on a physical sensation, such as air entering and leaving the lungs or hand temperature. Any time the mind wanders, attention is refocused on the particular internal or external sensation. For many, this allows the mind to let go of scattered thoughts and provides relief from sensory overload. The practice of mindfulness has been trending for quite some time. Everyone from celebrities to sports stars is extolling the benefits of mindfulness, but what exactly is it? In essence, mindfulness is being in the moment — -focusing on the internal and external experiences that occur from moment to moment to gain an appreciation and calmness for life as it happens. 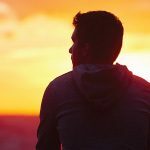 If you are constantly bombarded by worrisome thoughts about the future or the past, you might appreciate mindfulness techniques. Although yoga and meditation are two separate practices, they do support each other and many yoga instructors even reserve time at the beginning or end of class to practice some form of meditation. The posture and concentration required during yoga help to encourage focus and balance. The physical component of yoga and its emphasis on ujjayi breathing help to set aside concerns and worries, which, by itself, is deeply meditative. Not every form of meditation is done while sitting or standing in silence. Walking meditation allows you to get up and move around. While walking is not the only form of moving meditation, it is one of the most popular. It uses aspects of the concentration meditation technique, and proponents say it is easier for people to focus on sensations while they walk. The distance and destination are arbitrary, the focus on steps and breathing is what's important. You can do this while walking anywhere but it may be most beneficial at your favorite park or beach. Guided imagery meditation is ideal for beginners and feels like an exercise for your mind. Often you can perform this type of meditation in a group class or with the aid of a website or phone app. The teacher or instructor walks participants through mind sensory visualizations of sights, sounds, smells, textures, movements, and more. If your mind wanders from the guided images, just return your focus and concentration. Getting started with meditation is easy. One of the best features of meditation is that you don’t need to buy anything. As long as you’re conscious and willing, you can begin. 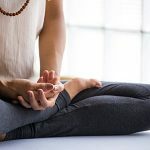 Concentration meditation is a great technique to start with and you can perform it at home, the office, or even parked in your car, just follow the five steps below. Find a peaceful spot. You don’t need absolute silence, but a quiet setting will help with your concentration, especially if you are just starting. You will need to stay in one pose for the duration of the exercise, so make sure you are comfortable and relaxed. The more popular poses involve sitting cross-legged and lying on your back with your arms at your side and palms facing up. Don’t force an irregular breathing pattern. Instead, take relaxed, full, calming breaths. Choose a physical sensation on which to focus. For many, just concentrating on breathing is sufficient. With your eyes closed, inhale and exhale through your nose. Feel the expansion and contraction of your lungs. Feel the breath brush against your throat and expand your lungs. Don’t be discouraged if you find your mind wandering; it's natural, just refocus. Perform this exercise every day for 5 minutes. Add more time as you become more accustomed to the practice. With time, you’ll get better at remaining focused without letting your mind wander. Checking their watch is a big distraction for many beginners so, if time is short, setting a timer may be helpful. 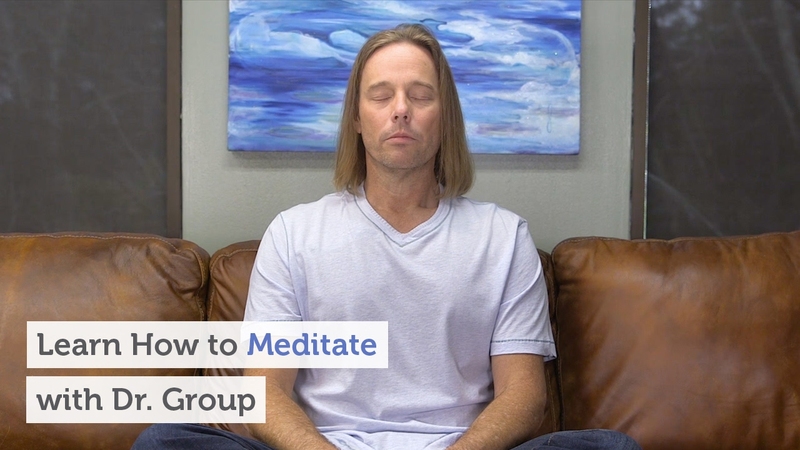 Watch the video below to find out how I went from a novice to meditating two hours every day! Scientific inquiry has shown that meditation encourages wellness; below are some of the top benefits of meditation according to recent research. Meditation is calming, soothing, and one of the best habits for encouraging a peaceful mind. One study surveyed over three thousand participants who practiced meditation exercises for up to five years and found that meditation supports a healthy mood and helps to reduce stress. The meditation techniques utilized included mindfulness, mantra, and Transcendental approaches. In one study, “stress challenges” (public speaking and arithmetic tests) were given to participants to measure the effects of mindfulness on stress and anxiety. The results indicated that mindfulness helped reduce anxiety and stress response during the stress challenges. Academic challenges and other uncertainties leave many young adults at risk for mental distress. In one study, hundreds of college-aged students participated in Transcendental Meditation. The results showed signs of increased coping skills along with a reduction in anxiety and depression. The benefits of meditation are not limited to the mind. Meditation promotes balance and order in a way that positively affects physical health. Many studies have explored the relationship between blood pressure and meditation. One analysis concluded that meditation may help encourage normal blood pressure. Research into yoga-based mind and body therapy showed the practice produced relief for some menopause symptoms. Further research is needed to determine the mechanism by which meditative practices offer assistance. Several studies have shown that a combination of yoga and meditation can assist with smoking cessation. Twenty-nine people with IBS attended a workshop that focused on breathing, movement, and meditation. As a result, significant improvements in quality of life were reported, including reduced inflammation. Not all the positive outcomes of meditation can be easily measured. Many of the self-reported benefits of meditation include an increased sense of spirituality, feelings of enlightenment (Zen), and an increased ability to focus on the meaningful aspects of life. Some people believe that the benefits of meditation extend well beyond the individual. According to one idea, known as the “1% Super Radiance Effect,” there may be societal benefits when large groups of individuals practice meditation. Proponents cite several studies that show a dramatic reduction in crime and death when groups meditate in unison. One study showed a 23.3% reduction in violent crime in the District of Columbia, and another showed a 76% reduction in war-related deaths in Lebanon. Both of these reductions took place at the same time as planned meditation experiments. Although establishing direct causation with large scale events is impossible, proponents of the Super Radiance Effect are optimistic about the influence meditation can have on world peace. 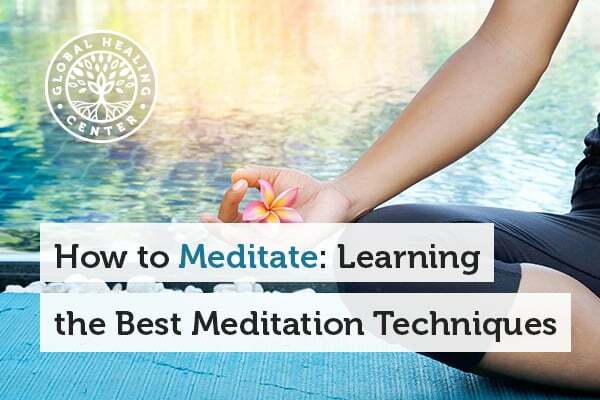 Classes, books, and videos are available to help you discover the benefits of meditation. Even if your budget is zero, you can still find online resources or free phone apps to start. Don’t be afraid to experiment with new meditation techniques to see what works for you. We have put together a meditation for beginners guide that you can try. You can also search for a style or instructor that aligns with your beliefs and goals. Whatever you choose, just stay consistent and give it time; the more you put in, the more you will get back. Practicing meditation with a healthy mind and body should always be your goal. 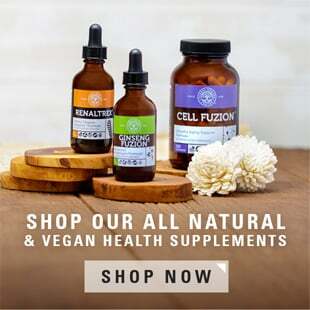 Using the right supplements can help promote mental well-being and a healthy body, giving you the best chance to focus your efforts. 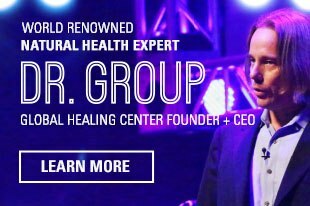 Global Healing Center offers a variety of wellness-centered products and kits. NeuroFuzion® supports mental clarity and is designed to sharpen the mind and encourage focus. Do you have any tips or tricks for practicing meditation? Share your experiences with us in the comment section below! Goyal M, Singh S, Sibinga EMS, Gould NF, Rowland-Seymour A, Sharma R, Berger Z, Sleicher D, Maron DD, Shihab HM, Ranasinghe PD, Linn S, Saha S, Bass EB, Haythornthwaite JA. "Meditation Programs for Psychological Stress and Well-being A Systematic Review and Meta-analysis." JAMA Intern Med.2014;174(3):357-368. Hoge EA, Bui E, Marques L, et al. "Randomized Controlled Trial of Mindfulness Meditation for Generalized Anxiety Disorder: Effects on Anxiety and Stress Reactivity." The Journal of clinical psychiatry. 2013;74(8):786-792. Nidich SI, Rainforth MV, Haaga DAF, et al. "A Randomized Controlled Trial on Effects of the Transcendental Meditation Program on Blood Pressure, Psychological Distress, and Coping in Young Adults." American journal of hypertension. 2009;22(12):1326-1331. Shi L, Zhang D, Wang L, Zhuang J, Cook R, Chen L. "Meditation and blood pressure: a meta-analysis of randomized clinical trials." J Hypertens. 2016. Innes KE, Selfe TK, Vishnu A. 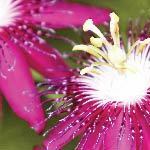 "Mind-body therapies for menopausal symptoms: a systematic review." Maturitas. 2010;66(2):135-49. Carim-Todd L, Mitchell SH, Oken BS. "Mind-body practices: an alternative, drug-free treatment for smoking cessation? A systematic review of the literature." Drug and alcohol dependence. 2013;132(3):399-410. Gerbarg PL, Jacob VE, Stevens L, et al. "The Effect of Breathing, Movement, and Meditation on Psychological and Physical Symptoms and Inflammatory Biomarkers in Inflammatory Bowel Disease: A Randomized Controlled Trial." Inflamm Bowel Dis. 2015;21(12):2886-96. Hagelin, J.S., Rainforth, M.V., Cavanaugh, K.L.C. et al. "Social Indicators Research." (1999) 47: 153. John L. Davies, Charles N. Alexander. "Alleviating Political Violence through Reducing Collective Tension: Impact Assessment Analyses of the Lebanon War." Journal of Social Behavior and Personality, 2005, 285–338.